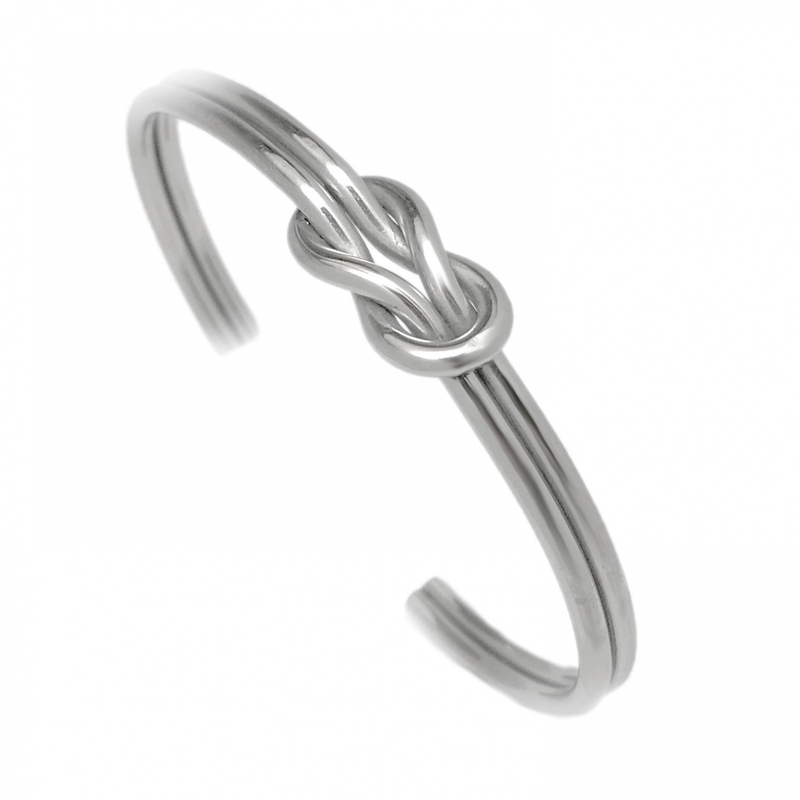 This polished mirror finish finish stainless steel round wire cuff bracelet features a simple yet stunning square infinity style knot design. 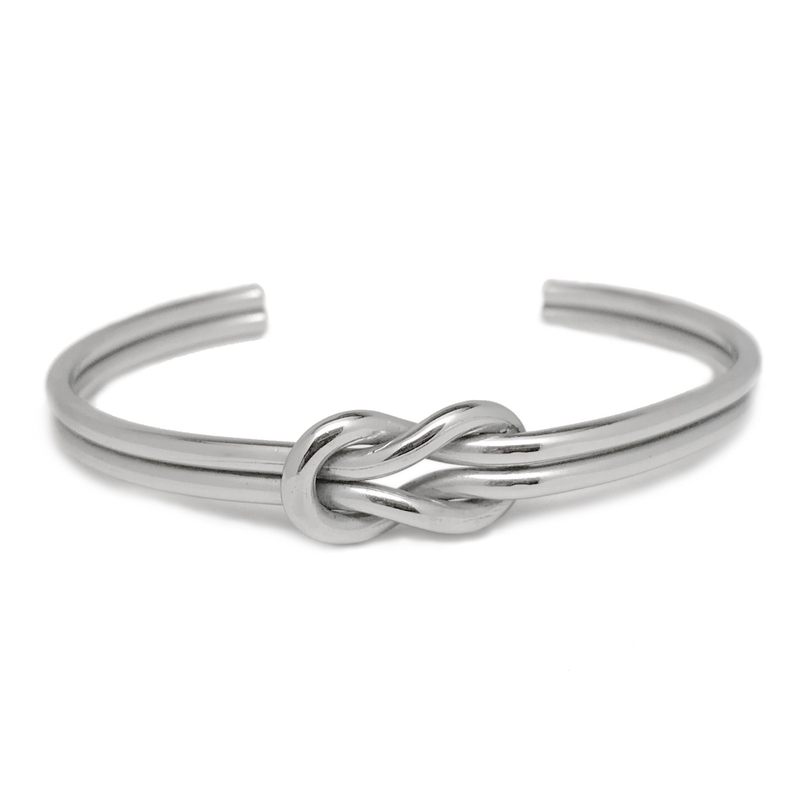 At its smallest, the bracelet can accomodate a 6 inch wrist and can go as large as you need (Great for large wrists!). 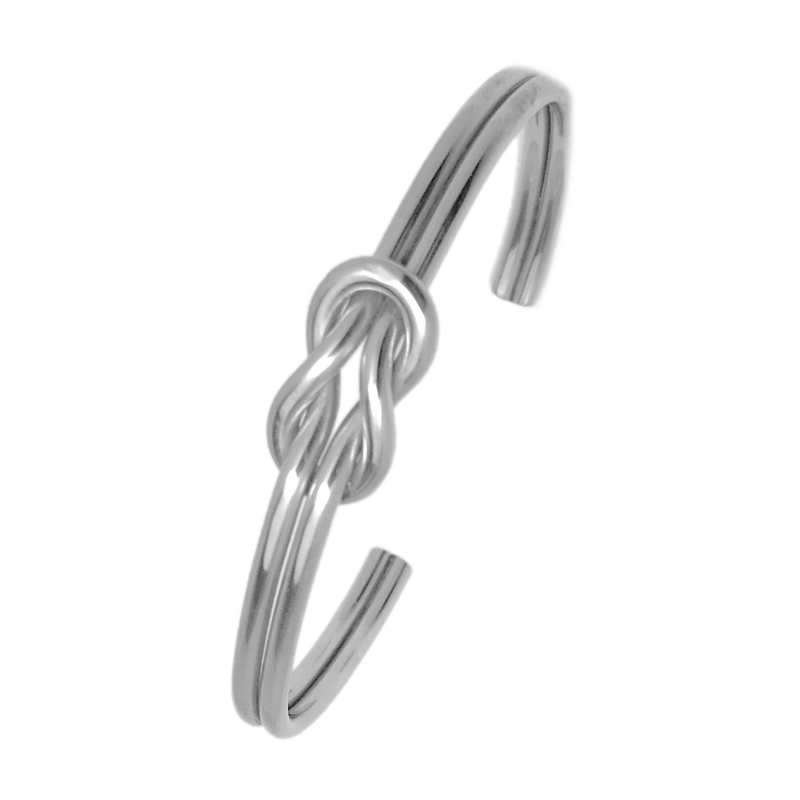 The 1/4 inch band is easily adjustable by pulling or pushing together the ends. Made from stainless steel, it will NEVER tarnish and is not susceptible to scratches, dings or dents. Stainless is also hypoallergenic, making this bracelet a great alternative for people that have skin reactions with other types of metals. Your new bracelet will ship in a beautiful Loralyn Designs satin storage/gift pouch.